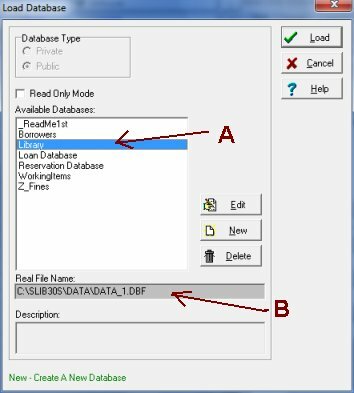 Question/Topic: How to check database file name and application folder? How to check where my Organizer Deluxe or Organizer Pro is installed? How to find Organizer Deluxe or Pro main folder? On the File menu, click Load Database. In the Available Databases box click (select) database name (A). Read the value in the Real File Name box (B). 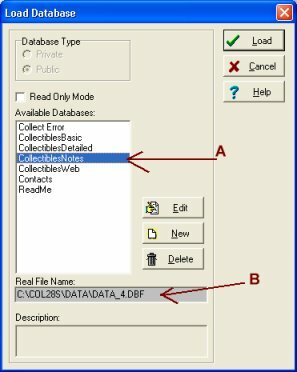 Data root folder is a default folder where all database files are stored. Organizer Deluxe/Pro Main folder is a folder where executable file is installed (deluxe.exe or orgpro.exe).